Nothing could have been as bad for once world number 1 rafael Nadal when he lost his first round match of Australian Open today. Many have started doubting Nadal's future tennis career already. 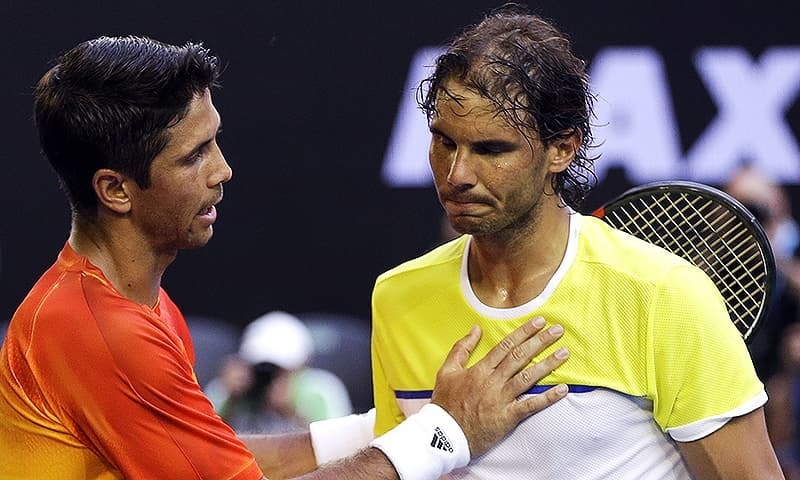 Now down to world number 5 due to his successive failures, Nadal found is hard to win his first round match against fellow Spanish left-hander Fernando Verdasco in a well fought five-set match, which Verdasco finally won 7-6 (8/6), 4-6, 3-6, 7-6 (7/4), 6-2. The match lasted four hours and 41 minutes.